(NaturalNews) Health experts are warning that new vaccines for whooping cough are needed quickly and that additional booster shots for children are likely to be required as well for the disease after a new study found that the effectiveness of the current vaccine fades sharply over a period of time. Results of the study, published recently in the New England Journal of Medicine, explains, in part anyway, a resurgence of whooping cough, also known as pertussis, which has infected in excess of 26,000 people this year, marking the largest outbreak in more than five decades, reports said. The current vaccine, which was introduced in the 1990s, fails to protect people as long as once believed. In fact, the study's authors note, the vaccine loses nearly half its effectiveness with each passing year. But was it ever really "effective" in the first place? Mounting evidence suggests that pertussis vaccines have never really worked. Regarding the study, lead author Nicola Klein, co-director of the Kaiser Permanente Vaccine Study Center in Oakland, Calif., said that even some fully vaccinated kids - those who have received all five doses health providers recommend by age four to six - are likely to still be susceptible to the disease by the time they are 10 years old. What does that tell you about the efficacy of the vaccine? Tom Clark, a Centers for Disease Control and Prevention epidemiologist who specializes in whooping cough, said his agency has reached similar conclusions, USA Today reported. Clark told the paper that while the vaccine protects about 98 percent of children the first year, protection levels drop to about 70 percent five years later. "We know the short-term protection is very good," Clark said, "but the protection is wearing off and that is the problem." This so-called protection is not good for children in the short term nor in the long term. James Cherry, of the University of California-Los Angeles, said of the pertussis outbreak that there simply needed to be a better vaccine. But Mike Adams, the Health Ranger, reported in April on research stating that incidences of pertussis were actually higher among vaccinated children. Besides, the truth is, there is only one kind of immunization, and that is natural immunization. Natural health experts will tell you that they should never be called "immunizations" because that's a misnomer. In reality, vaccines are merely used to trigger an artificial response to man-made pathogens; they are both dangerous and harmful and have left generations of humans without any natural defenses to disease. 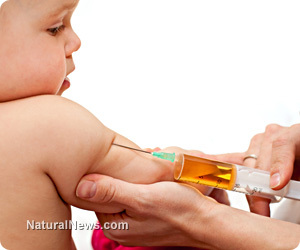 "Vaccines do not provide long-term immunity; only temporary at best," writes Craig Stellpflug for Natural News. "In vaccines, an antigen is injected into the body to produce a reaction and the immune system responds in the form of antibodies, but antibody presence does not confer immunity. People still catch the diseases that they are vaccinated against." He goes on to say that the medical community loves to tout the effectiveness of vaccines in tamping out illness, "but they have no real proof." "In fact, all the epidemical evidence shows that disease rates rise after vaccines - in the vaccinated population," he wrote. Stellpflug's assertions are supported by a German study released in September 2011, which studied 8,000 unvaccinated children, ages newborn to 19 years old. Researchers found that vaccinated children contracted two to five times more childhood diseases, illnesses and allergies than those children who were not vaccinated. "The data was collected from parents with vaccine-free children via an internet questionnaire by vaccineinjury.info and Andreas Bachmair, a German classical homeopathic practitioner," said a summary of the study by Health Impact News Daily, which also noted that the research was funded independently, without money from a "'credible' non-profit or government health organization with political and financial conflicts of interest." The study, which is ongoing and now following more than 11,000 children, has found that multiple medical conditions are worse among vaccinated children today than those who are not vaccinated.